Photo Booths are the new take on the old photo booths you used to use at the arcade. Now though they look smarter, they print better and you can have them at any event making a fun activity and a lasting memory. You can fit up to 3-4 people in the booth, push the button and four images will be taken and printed immediately on a photo strip. Easy peasy & that's a wrap! 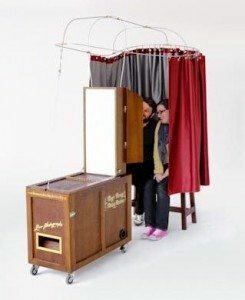 Photo booths start at approx $600 for 2 hours. 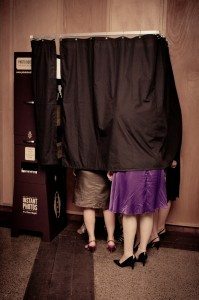 Usually your photo booth will come with an attendant to make sure everything runs smoothly. You will also be able to use the photo booth unlimited times within your time frame. One strip will be printed per session and usually the images will be saved to a disk so you can also have a copy. You may like to hire props or buy a guest album to slide your strips into also.